Most men who are out of shape will be familiar with the feeling of not being able to wear swimming trunks at the beach. That doesn’t have to be the case, though. Irrespective of their shape or size, every man can enjoy wearing swimming trunks or shorts and feel confident in them. 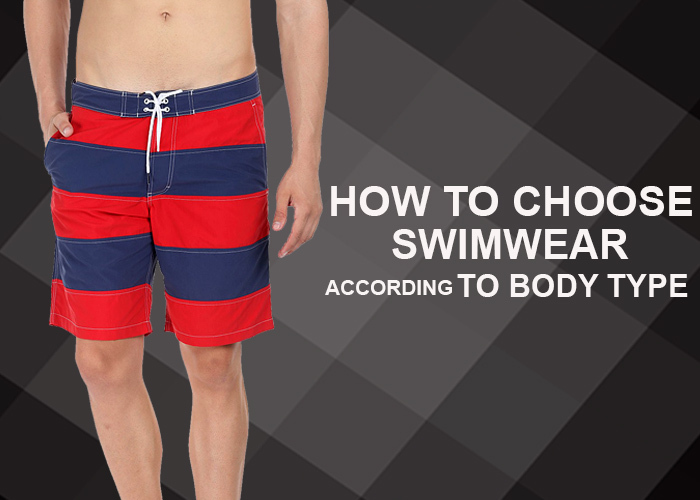 The trick is to choose men’s swimwear that is appropriate for your height and shape. Not sure how to achieve that? Worry not, because here are some of those tricks that can help you look great in men’s swimwear. If you’re tall, chances are that swimwear is going to make you look taller. To avoid the illusion of further height, opt for swimming trunks that reach just above the knee. This will prevent your legs from looking longer and will also give your rest of the body proportion. It is wise to avoid very tight shorts or longer ones that cross your knees. These will only make you look taller and awkward. Having said that, also stay away from baggy shorts since they will also make your legs look longer. 9-inch inseam shorts are the best for tall men. If height isn’t on your side, the best option would be to choose swim shorts that reach till your mid-thigh. This will make your legs look longer and give you the illusion of height. Retro style trunks, classic board shorts, and swimming briefs are appropriate for men with a short height. Don’t be afraid to try different patterns and designs though, since even vertically challenged people can effortlessly wear any colour swimwear with ease. Men on the thinner side have it easy since they can wear any type of swimwear and pull it off. Try something that sits low on your hips and reaches your knees. Make sure that the fit isn’t too tight, or else it would make you look thinner. Also, keep them wide instead of loose to cover up your thinness. You could also wear knee length board shorts that are stylish as well as appropriate for your shape. Men who are on the heavier side should stick to board shorts with a relaxed fit. The shorts should reach the middle of your thighs. If you have a belly, wear your shorts at the hips, instead of wearing them too high. If the regular size doesn’t fit well, go for a size larger. Always stick to plain or dark coloured shorts to avoid giving prominence to your belly. The most important thing is to feel confident no matter what kind of swimwear you are wearing. Wearing swimming shorts or trunks don’t have to be embarrassing, irrespective of your shape. Swimwear for men is available in a variety of fits and size, so feel free to experiment until you settle on the best.